Surely you’ve heard of Grand Central Market. It’s the city’s oldest (started in 1917) and largest public market, open seven days a week. But other than being super old, what exactly is Grand Central Market? 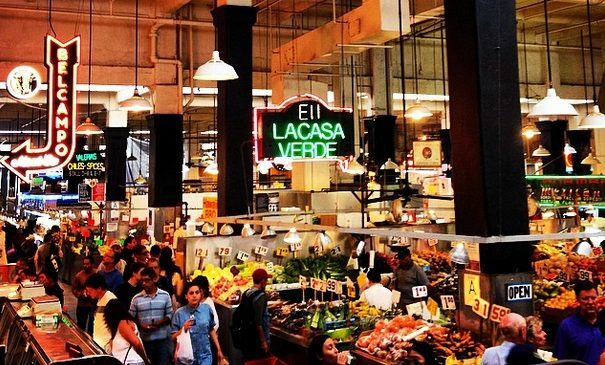 Grand Central Market’s mission is to celebrate the cuisines and cultures of Los Angeles. Our commitment is to preserve the legacy of a historic downtown landmark, to gather the city’s many communities around a shared table, and to nurture the next generation of local businesses. The result of this mission is 30,000 square feet of space of diverse deliciousness, and probably L.A.’s most acclaimed and famous food emporium. All that said, maybe you’ve never been and are still on the fence about trekking downtown? Well, let’s fix that mindset for you. Here’s five great reasons you should plan your first visit as soon as possible. 1. A diversity and abundance of awesome food. Let’s start with the obvious. The selection of food is pretty epic. Check out the 90 second YouTube video below just to get an idea of the sheer abundance available at the Market. Pro-tip: My personal favorite is a burrito from Tacos Tombras a Tomas. Order it half and half with both pollo and asada. It’ll be so big you may not finish it, but damn if you won’t try. We rate Grand Central as one of the 16 best people watching spots in Los Angeles, and that is with just cause. And if you get bored, head across the street and take a ride on Angels Flights. There probably isn’t a person out there reading this who isn’t guilty of skimping on their fruit and vegetable intake. Taking a trip to Grand Central is the perfect excuse to pick up fresh produce and make a wonderful, fresh meal at home. 4. A New York state of mind. I can’t think of many (if any) other places in the city where you’ll find the true authentic, urban vibe you’ll get at Grand Central. If you happen to be a transplant and need a bit of a east coast fix, this may be just the spot. 5. They’re now open for dinner. In times past, the market has closed by 6pm, but starting July 3, 2014 the market will be extending hours to 9pm! 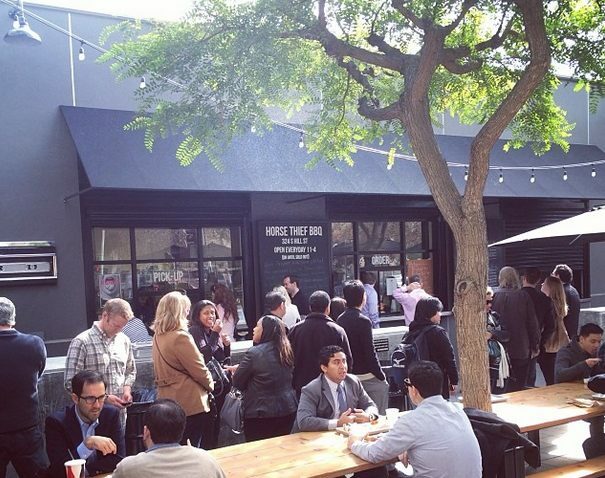 Now you can stop by, get a bite to eat, then hit some of the nightlife around the DTLA area.